An explosion in the Sultanbeyli suburb of Istanbul has injured two people, Turkish media report. Police have arrived at the scene and cordoned off the area. A homemade bomb left in a trash can exploded around 3pm local time (13:00 GMT), local media report. "There was more than one explosion. Everyone had to escape," a witness said, as cited by Turkish news agency DHA. Police are investigating the cause of the explosion. Earlier in the day, Turkish police defused another bomb in Istanbul’s Eyup district by carrying out a controlled explosion. Around 1pm local time (11:00 GMT) two masked men were seen leaving a package at a bus stop. Eye witnesses assumed the package was suspicious and called the police. Police then blocked the street and deployed a bomb disposal team to the scene. Police are looking for the two suspects who left the bomb at the bus stop. The men were caught on a security camera while leaving the scene. 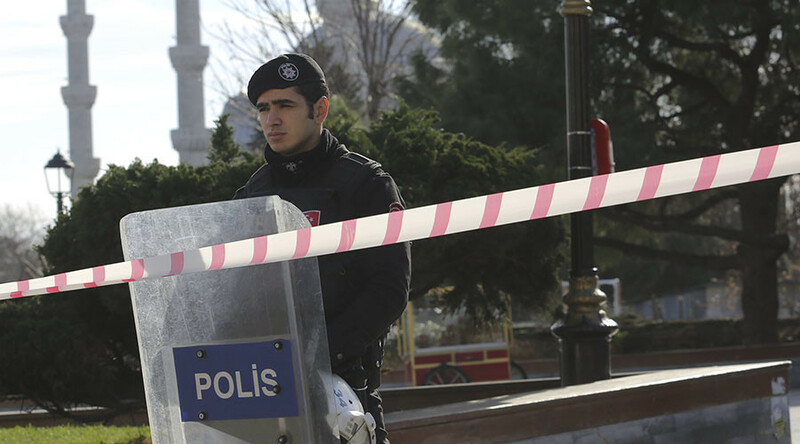 The two incidents came just weeks after a powerful blast hit central Istanbul Square on January 12. An attack carried out by a suicide bomber claimed the lives of 12 foreigners, mostly Germans, and injured 15 more people. The perpetrator was a member of Islamic State (IS, formerly ISIS/ISIL), who came to Turkey as a refugee from Syria. Turkey’s police carried out raids in five major cities arresting 59 people suspected of links to IS following that incident.